Huge Success at Top Award Ceremonies and a Tribute to Mark! As those of you that have been guests of Unique Devon Tours know, we pride ourselves on giving the best service that we can, and we always aim to go beyond the extra mile where possible. This is well reflected in the Tripadvisor reviews that we have (to date 197 reviews, all of them 5 star – see here! 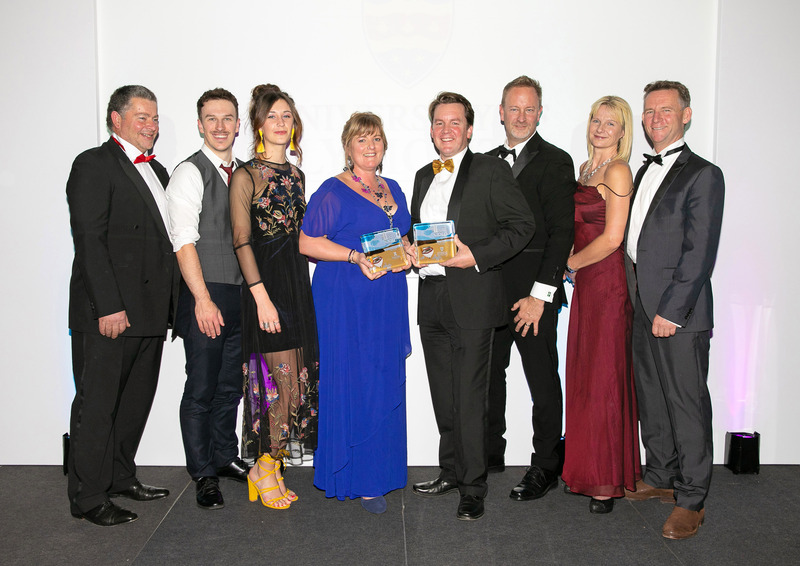 ), and the awards that we’ve won, when our efforts have been rewarded with some wonderful accolades at prestigious regional tourism awards, including gold at the Visit Devon Tourism Awards for the last three years running (2015, 2016 and 2017). I’m glad to report that the success continues, and in recent weeks two top accolades have come the way of Unique Devon Tours. First of all, back in October, I managed to make it into the final of the Wanderlust World Guide of the Year Awards (into the top 10 out of over 4800 nominated tour guides from all over the World). I managed a similar achievement in 2016, when I got to the final then, and ended up with a Highly Commended Award. 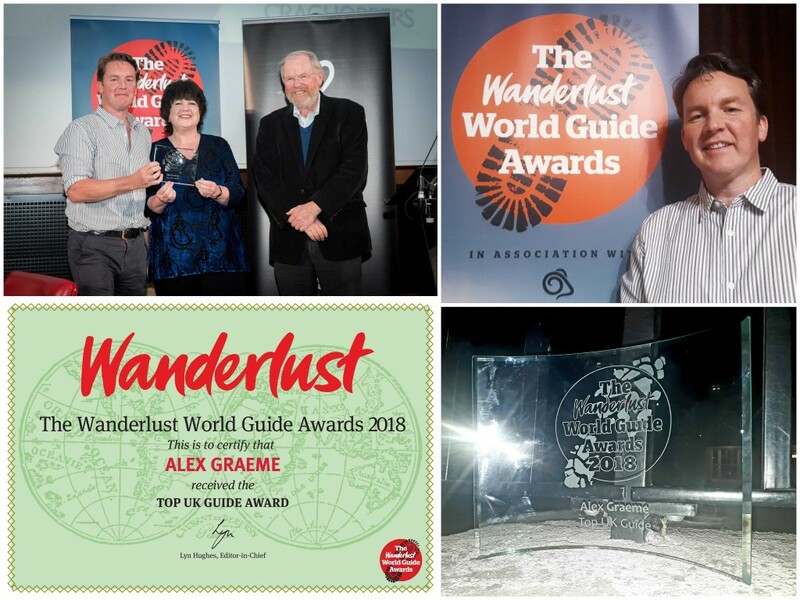 However, this year that was surpassed, as I was awarded with a special award on this momentous evening at the Royal Geographical Society in London – I was given the accolade of Top UK Guide, which definitely amounts to the highlight of my working life. Being handed my trophy by legendary travel writer, Bill Bryson, only added to the enormity of this moment, and it really hasn’t sunk in yet, and may never do so! You can read more about Wanderlust, and the event, just here. 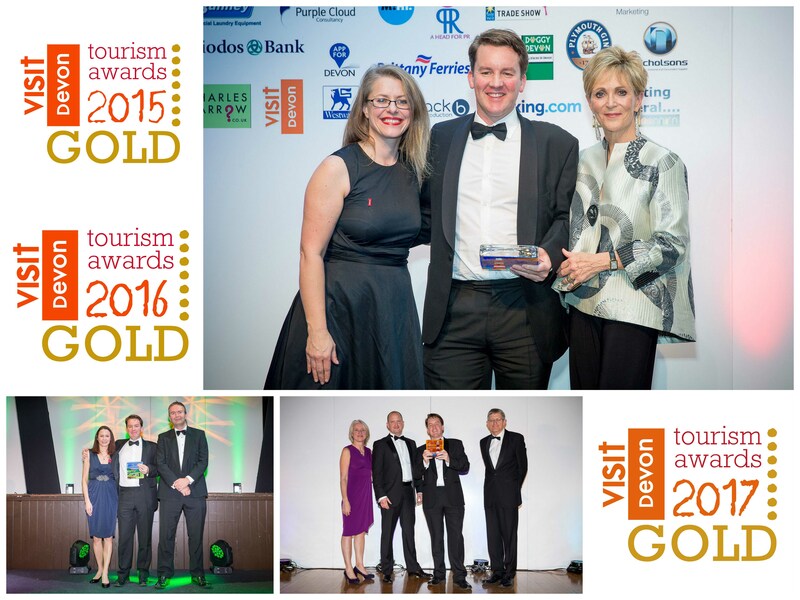 Then just two days ago, on Thursday evening, we achieved gold at the Visit Devon Tourism Awards for the fourth year running, in the category of ‘Guided Tour of the Year’. I never get used to these things – I get to the stage, shaking like a leaf, certain that it won’t be gold, but somehow it was, once again! Yesterday a friend wondered if I might be getting complacent, having done so well at so many of these awards ceremonies. It really doesn’t feel like it to me, in any way whatsoever! Each one means as much to me as the last, and I get just as flustered before they announce the winners as I did at the first ceremony that I went to, if not more so! Mark has clearly upheld Unique Devon Tours’ first class and award winning reputation, for which I am both relieved, and extremely grateful. Secondly, he has proved to be as flexible as I could ever wish for him to be – he will tackle any tour that I ask him to, doing the research required to make it as good as can be for the guests. He’s not afraid to move out of his comfort zone, and is really getting behind Unique Devon Tours to help it move in the right direction. Mark has all the key attributes of the best possible guide – patience, good manners, a good sense of humour, flexibility, an innate need to please, even tempered and good natured (always! ), and unassuming – I really couldn’t ask for more! So thank you Mark – it’s great to have you on board, and I look forward to sharing more success with you as things evolve. 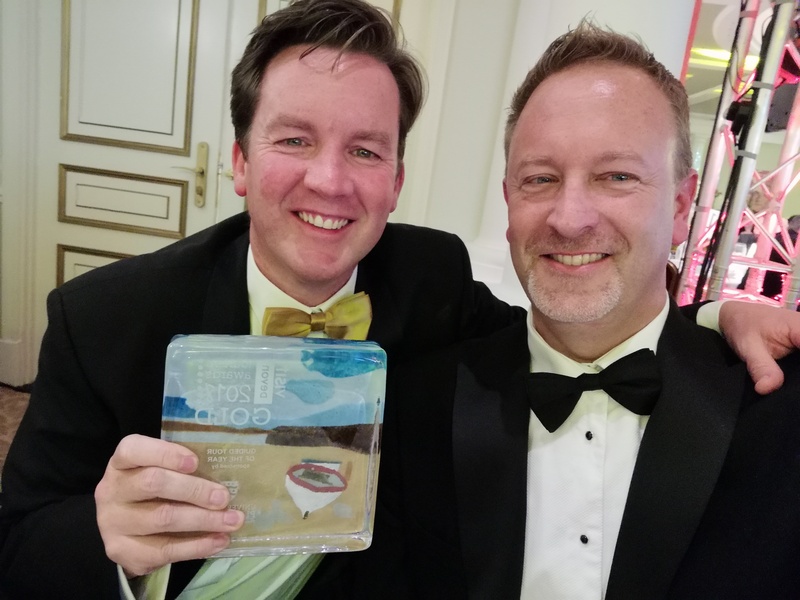 It would be remiss of me not to also mention that we did have a group of great friends to share the Visit Devon success with – the team from Glas-Denbury Music Festival were at the awards, hoping for success in the ‘Tourism Event/Festival of the Year’ category, and they did indeed win gold. We shared a very happy table with them, and photos afterwards too! Thank for for reading, and please feel free to get in touch if you’re interested in booking an award winning guided tour with Unique Devon Tours.